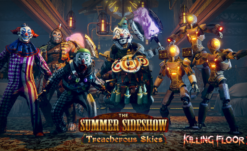 In the latest holiday horror news, Tripwire Interactive revealed their update to Killing Floor 2, subtitled Twisted Christmas: Season’s Beatings. Predator 2 star Gary Busey dons Santa’s classic red suit, sleigh, and milk…pipe-bombs? Wow, I knew that Santa had a lot on his plate every holiday season, but not cookie throwing stars. Step up your game, Krampus! Speaking of the goat-horned one, they’re part of the DLC too and are equipped with a Berserker Battle Axe. That’s definitely an upgrade from that old birch branch. Starting today through the Christmas season, Gary Busey’s character will lend advice on weapons and gear goodies during Trader Time. Gary Busey will also lend his voice talent towards the trader in Santa’s Workshop map. Within the same map, you’ll face Krampus head on to reclaim your stolen workshop. The gifts keep on coming in the community map Shopping Spree which includes hordes of zeds in a derelict overwrought shopping mall. Put your gifts on layaway this year, way too many (undead) crowds. 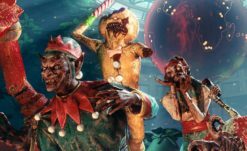 With new maps, weapons, and festive redesigns for the zeds, developer Tripwire Interactive ends the year with a bang. 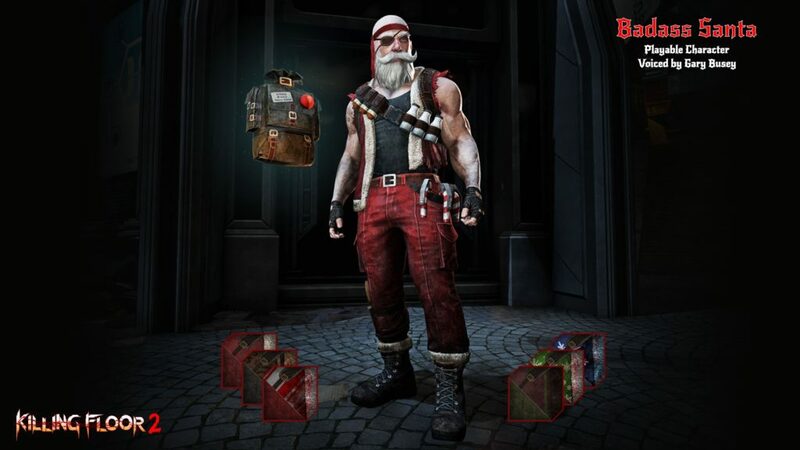 Killing Floor 2—Twisted Christmas: Season’s Beatings is out now on PS4, Xbox One, and PC.